Noida: “We are happy that we are already dealing with the country Dominican Republic and have created a committee on this country in ICMEI. 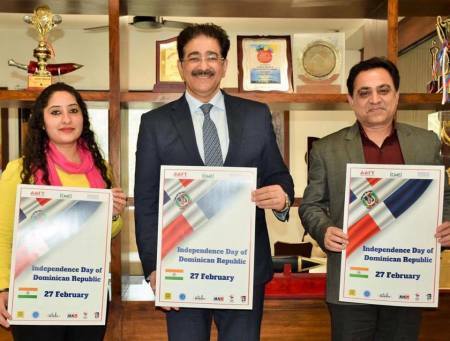 Today we feel proud to celebrate the national day of Dominican Republic which falls on 27th February,” said Dr. Sandeep Marwah President of International Chamber of Media And Entertainment Industry. A poster was launched to mark respect to the National Day of Dominican Republic. The Dominican Republic and India signed a bilateral agreement on cultural co-operation in August 2012. Indian food festivals were held in Santo Domingo in October 2013, and in March and October 2014. DR Television broadcast an Indian film festival during April 2014. As of January 2016, about 50 Indian citizens and people of Indian origin reside in the Dominican Republic. They are employed as businessmen, engineers, and software experts. 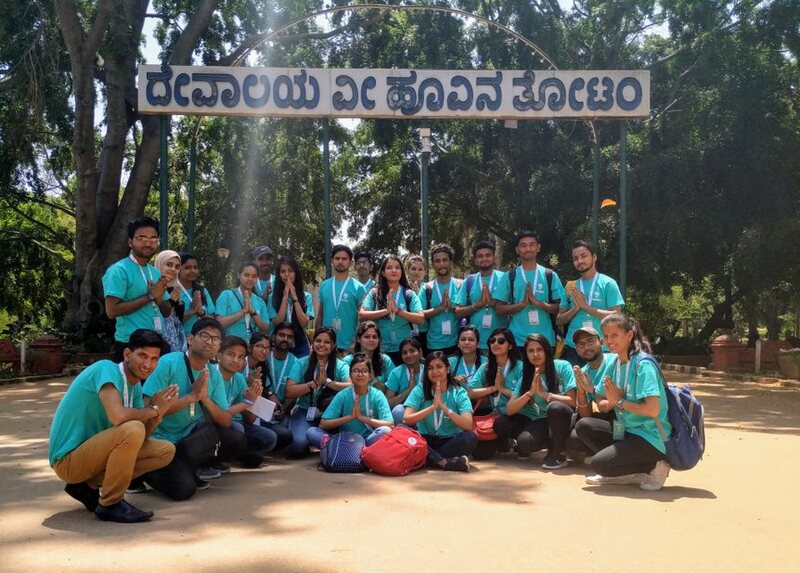 There are also students at medical colleges and representatives of Indian companies. Satya Sai Baba of Putthaparthy has some followers in the Dominican Republic. A large number of Dominican visitors to India are followers of Sai Baba. Soon a formal inauguration will take place to open Indo Dominican Republic Film And Cultural Forum at ICMEI.